Fri., April 12, 2019, 12:51 p.m.
ATLANTA – Max Holloway believes the path to recognition as the best pound-for-pound fighter in UFC goes through the lightweight division. That means a move up in weight class. 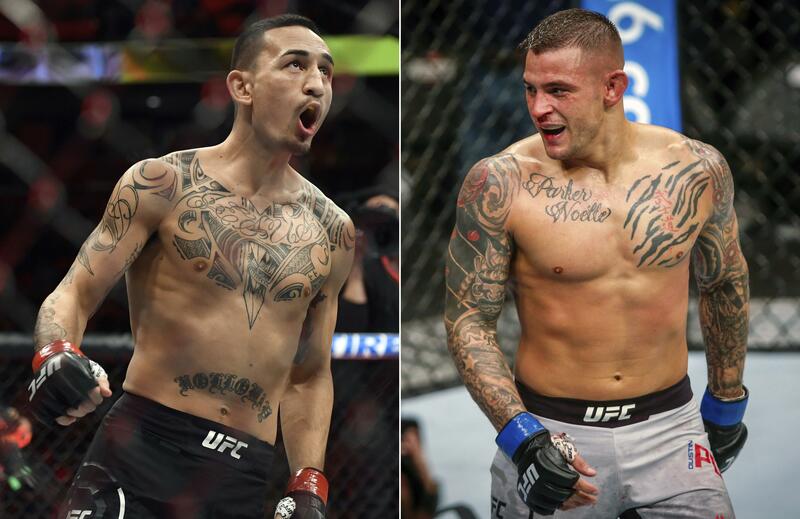 Holloway says he will let his featherweight championship belt “bake a little bit longer” so he can face Dustin Poirier for the interim lightweight title on Saturday night in UFC 236. The possible reward for the winner will be a date with undefeated Russian Khabib Nurmagomedov . The retirement of Conor McGregor , who was the sport’s most popular fighter, leaves a void in UFC. McGregor held featherweight and lightweight titles but hasn’t won a fight since November 2016. Nurmagomedov said this month he would like to fight again in September, two months after the end of his Nevada State Athletic Commission ban for his team’s brawl with McGregor’s team following their fight in October. Holloway (20-3) has won 17 consecutive fights since losing to McGregor in 2013. He knows he must extend that winning streak to claim more of the UFC spotlight. Holloway, 27, from Waianae, Hawaii, is attempting to become the fourth fighter to hold two UFC belts at the same time. He said he’s not worried about the move up to the 155-pound class. The Holloway-Poirier matchup is one of two title fights in UFC’s return to Atlanta. Kelvin Gastelum (15-3) will fight Israel Adesanya (16-0) of New Zealand for the middleweight interim title. Holloway made his UFC debut with a first-round loss to Poirier in 2012. Both say the first fight is ancient history and no indicator of what to expect Saturday night. Poirier, of Lafayette, Louisiana, said he was shocked when recently shown the video of the 2012 fight with Holloway. “I was just thinking, look at these kids and me as a kid and how far I’ve come, making things happen for myself,” Poirier said. Poirier (24-5) remembers the young Holloway was unpolished. Poirier said he’s also improved since the 2012 fight. Holloway was more direct when comparing his current skills with the young fighter who lost to Poirier. “Max today would bloody that 20-year-old kid who walked into the octagon,” he said. Also Saturday night, Eryk Andres (11-2), a former Alabama football player, will face Kalil Rountree Jr. (8-2) in one of two light heavyweight fights. Ovince Saint Preux (23-12) will face Nikita Krylov (25-6) of Ukraine in the other light heavyweight fight. Published: April 12, 2019, 12:51 p.m.